It might take months, but PUBG Corp has begun slowly digging itself out of its ditch of bad reputation. The addition of Training Mode, the new map and game mode for practicing PLAYERUNKNOWN'S BATTEGROUNDS techniques, was a major step toward amelioration with an aggrieved player base. But it is only the first of many, and the next is clear: PUBG Corp must add private Training Mode lobbies. Training Mode, ​added in PUBG PC Patch 21 Sept. 5, ​is a huge boon to ​PUBG for both casual and competitive players. For the first time, players have the chance to practice with all of the game's many weapons and vehicles, from the basic essentials such as the M416 assault rifle to the rare and ultra powerful such as the AWM. Access to these weapons in unlimited quantity means even the lowliest of new players can have their chance to learn the game without fear of a sudden bullet to the brain and a boot back to the lobby for another wait in the queue. The same is true for parachuting, an oft-overlooked but critical skill. One impossible to practice with any efficiency before Training Mode, which sports a landing target and frequent opportunities for sky diving. These changes will bring huge improvements in both quality of life and play for PUBG PC's many players, but they also give those players a chance to let loose. Because players can never die in Training Mode, it's become a wonderful sandbox where players can stunt jump and mess around to their hearts' content. The problem with Training Mode arises in the few limits PUBG Corp places on it. Currently, players can only access the map and mode through matchmaking, and a server will only host an instance of Training Mode once five or more players queue for it. This means that there is no practical way to have an instance of Training Mode just for a single squad of players. Anyone hoping to relax with some stunts among friends or alone is forced to deal with random players who can as easily ruin a session as improve it. 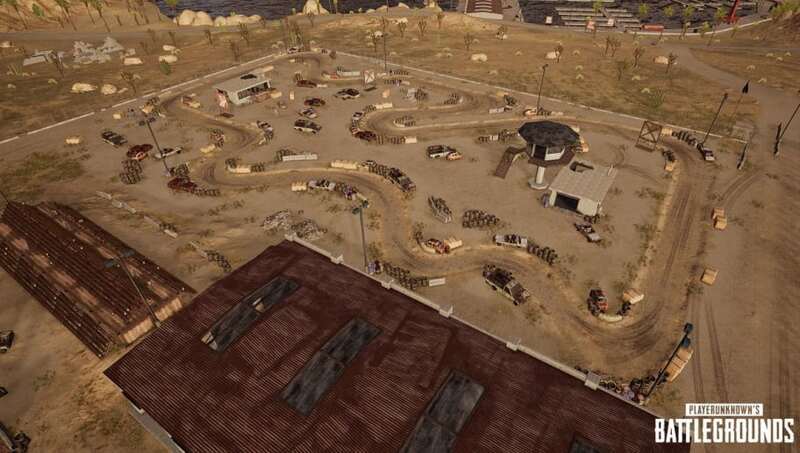 Random players can steal vehicles and weapons out from under others, disrupting fun and practice. They can follow players around, running them over with cars or filling their heads with crossbow bolts, ruining the Training Mode experience for everyone else in the server. For Training Mode to reach its full potential, bringing the rest of PUBG along with it, PUBG Corp must enable private Training Mode lobbies for players to practice and relax without the disruptions of the PUBG hordes.